Music also teaches children how to identify and express their emotions. They learn about the ‘moods’ of music – for example, rhythms that are uplifting, rhythms that are angry and others that are melancholic. Musical arrangements and the juxtaposition of instruments are the equivalent of colors and textures on a canvas. Music aids in expressiveness and artistic creativity, as stated in the EYFS statutory framework. 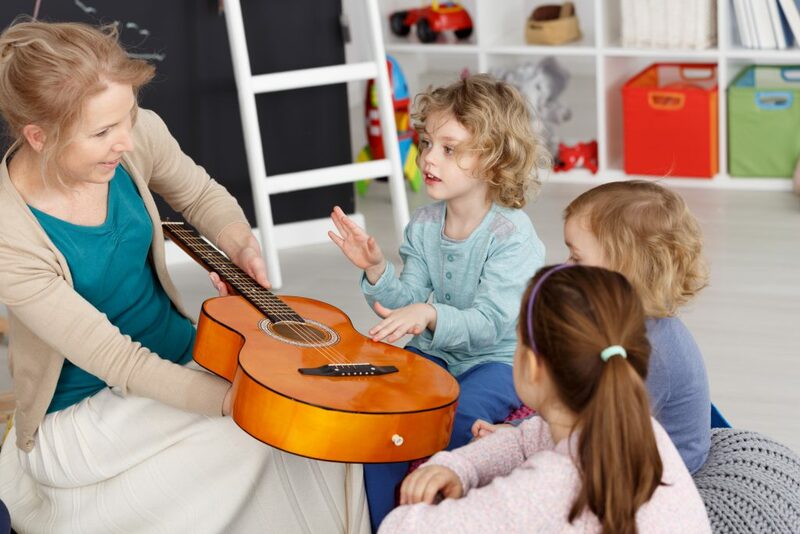 Long before they can appreciate and recognize a guitar riff, children can listen to music from around the world and in doing so, learn about its many cultures. After all, isn’t music one of the distinguishing cultural facets of every nation around the world? It’s time to give music a priority in children’s daily routines and schedules! Check out our new game in the AppyKids Play School App – Beats by Appies! Your kids are sure to love them! Multilingual Families? Where to start? Even if you don’t always admit it, your sibling rocks your world!